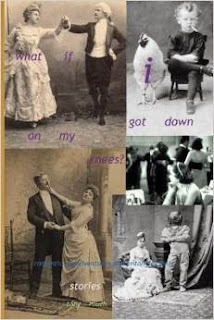 "The quirky and wholeheartedly original book, what if i got down on my knees? by Tony Rauch is the epitome of what literature needs more of. what if i got down on my knees? is easily one of the most creative books I’ve read in a while. Rauch’s style is exciting, novel and imaginative. Rauch provides the reader with an incredibly unique and exceptional piece of literature. If you’re on the market for something new, unpredictable and oddly comical, look into what if i got down on my knees? — it won’t disappoint.